ICT Innovation Forum Panelists (L-R) Speakers: Monchito Ibrahim, Department of Information and Communications Technology; Itamar Gero, ICCP; Ephraim Ben Matityau, Ambassador of Israel to the Philippines; Diane Eustaquio, IdeaSpace; Minette Navarrete, Kickstart Ventures; Miguel Warren, Payoneer Philippines and Anton Mauricio, ICCP. 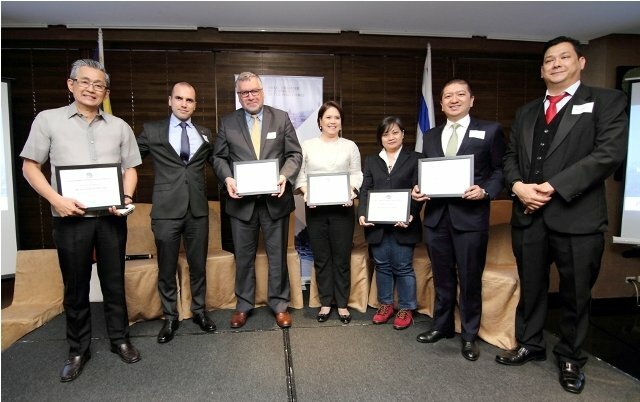 [Makati City, February 20, 2017] – Israel Chamber of Commerce of the Philippines (ICCP) President Itamar Gero shared the developmental successes of Israeli technology and innovations with a group of Filipino startup enterprises; IT companies; local government agencies, and highly esteemed panelists during the ICT Innovation Forum last February 9, 2017 at the Dusit Thani Hotel, Makati City. Gero said that he sees the same potential and entrepreneurial DNA in the Philippines. He encourages the local community to ignite its hunger for seeking solutions and adopt a better attitude towards innovative technology. Israel and the Philippines have been partners for 60 years and innovation played a major role in the strength of the relationship. 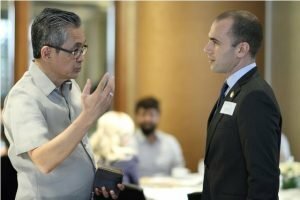 Gero, also the CEO of TrueLogic Online Solutions, one of the largest digital marketing companies in the Philippines, is also advocating the Digitize Philippines project. 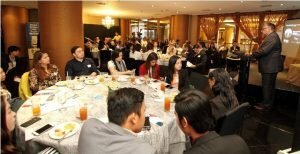 This is an initiative to bring free, actionable, bite-sized training to help Filipino businesses quickly adapt to the digital trends and drive traffic to their business through search, mobile and social media. Connectivity is vital in building a great nation, according to the top ICCP official. He said technology helped – and still helps – bridge the cultural gaps and stands as an individual’s partner in making the impossible possible. Ephraim Ben Matityau, Ambassador of Israel to the Philippines, who was present during forum, was the first to address attendees. He said that startup companies have made Israel the melting pot of technological innovation that it is today with what he calls the ecosystem of “ICE,” an abbreviation for “Innovation, Creativity, and Entrepreneurship.” The foundation of thinking, creating something from scratch, and the eye for innovation are what drive nations to succeed, he remarked. In the Philippines, the Department of Information and Communications Technology (DICT) is dedicated in addressing the Philippines’ future developments and projects in the field of IT and technology. Monchito Ibrahim, Executive Consultant of the new DICT discussed the the department’s mission to establish a digitized government (and nation), provide access to vital infostructure and services to every Filipino, ensure sustainable growth for ICT-enabled industries in the Philippines, and enable the country’s development and transition to a world-class digital economy. Other panelists included Diane Eustaquio, Executive Director of IdeaSpace a Philippine-organization dedicated to developing ground breaking innovations; Minette Navarrete President of Kickstart Ventures, Philippines’ most active early-stage investor and Miguel Warren, a leading cross-border payments company for small businesses and professionals worldwide. A better society will always require collaborative efforts. It is in the hands of both local enterprises and international partners to establish a world-class digital economy, nurtured by a drive for development and unity.